YOU may read this article on your smartphone. If you’re not using your smartphone, it is most likely being charged, but within reach. According to the Internet Users Survey conducted by the Malaysian Communications and Multimedia Commission last year, smartphones remain the most popular means for users to access the Internet, with nine of 10 Internet users going online using their handheld devices. Our smartphone is the first thing we look at when we wake up and the last thing before we go to sleep. Many of us can’t go five minutes without checking our devices or feel anxious if we lose them or leave them at home. It has become common in casual conversation to refer to such behaviour as an addiction. There is something you may not realise. Our overreliance on the global positioning system (GPS) may affect our navigational skills. Before the use of GPS, we would try to remember routes and learn to read and understand maps when we wanted to go somewhere new. But now, without an Internet connection, we may get lost. In Nature, a weekly science journal, Roger McKinlay refers to navigation as a “use-it-or-lose-it” skill. He says if we rely on machines to find our way, we might lose our natural sense of navigation. Furthermore, many people fail to realise that addiction to smartphones can have a negative effect on a person’s thoughts, behaviours, tendencies, feelings and sense of wellbeing. When we compare smartphone addiction to other types of addiction, such as alcohol, drug and gambling, they share similarities. Feelings of anxiety and panic can be triggered when the addiction is not satisfied, and it contributes to poor attention and control. 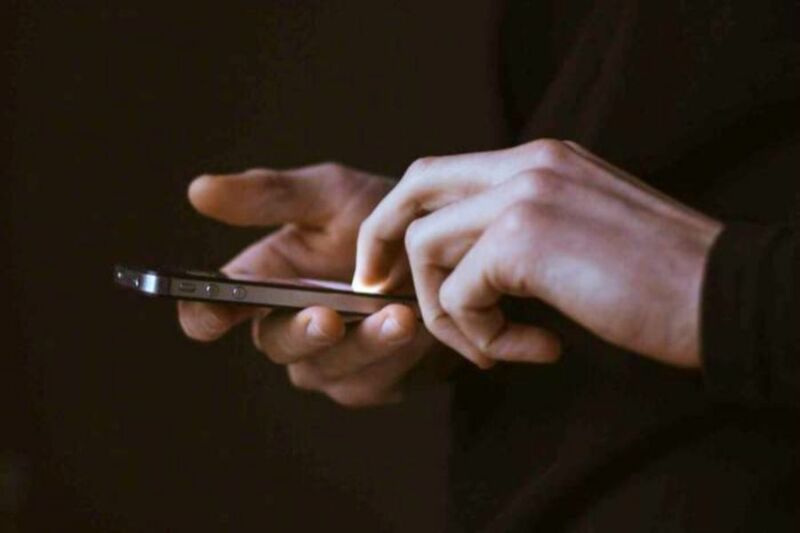 A study by researchers from the University of Illinois, the United States, found that people who experience depression and anxiety often turn to their smartphones to cope or distract themselves from negative feelings. In the long term, this could make these people more vulnerable to mental health issues. In addition, excessive smartphone use may cause an impaired ability to remember, a lack of creative thinking and reduced attention span. But how much smartphone use is too much? No one has an answer. More and more smartphones have a function that lets users check how much time they have spent on each application. It helps users understand their habits and use of applications. In addition, users can turn off notifications and set a reminder for the maximum time spent on applications. To curb smartphone addiction, we should start using this function. Other methods to reduce smartphone addiction would be for parents to set a daily or weekly session where no phones are allowed during family time. It is undeniable that smartphones connect us with friends and family, but nothing beats face-to-face communication and connection between humans. Social media has enabled everyone to be media producers and disseminate their creative content across the world. By Dr Sabariah Mohamed Salleh. She said Frog Boost is free of charge. “However, users need to log in into Frog VLE website using their Yes ID, Yes ID without a domain, and their national registration Identification Card (NRIC) number. This feature is available for teachers, students, and parents. SAN FRANCISCO: Facebook grappled Thursday with a widespread outage, forcing millions of people to taste life without the world’s largest social media platform. “Up and running here…..for now…..But I predict a baby boom in 9 months, Remember that day FB went down and people were forced to notice each other?”, this person wrote. PENAMPANG: Primary schools here and in Kota Belud will be involved in a pilot project that would enable schools to run their own radio programme. 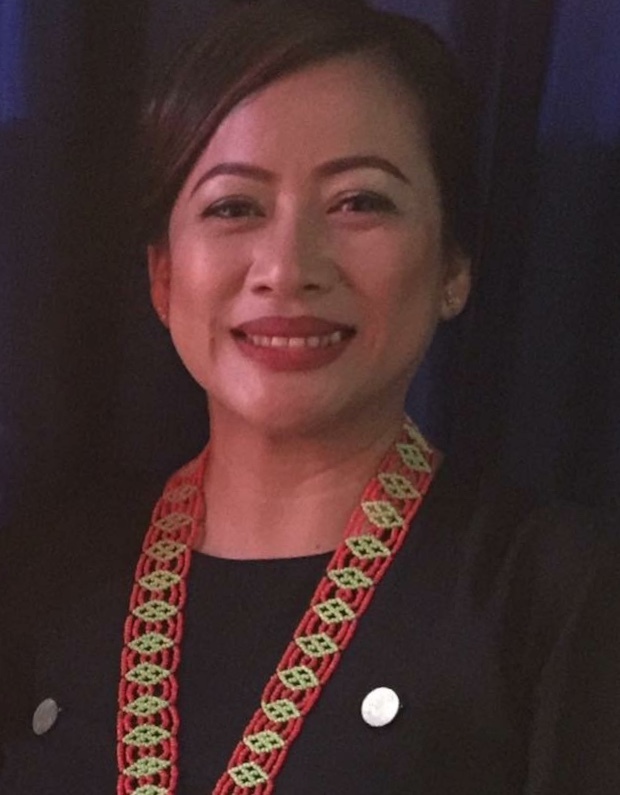 Assistant Education and Innovation Minister, Jenifer Lasimbang explained that such projects are already carried out in countries like Australia and the United States, and that using the radio as a form of teaching and learning had been proven effective. She said that 24 schools in Penampang had been selected for the pilot project. At the present time of writing, she was not able to provide the number of primary schools that would be involved in the project in Kota Belud. The cost for the pilot project is also unavailable as they are still working on arriving at the estimation, she said. Teo visiting the SK Taman Putra Perdana’s Special Needs Integration Programme (PPKI) classroom. DIGITAL textbooks are better but the Education Ministry will continue to provide hard copies for now. Telling parents not to worry, Deputy Education Minister Teo Nie Ching said textbooks would still be distributed as the digital versions were merely an option for those who want it. “We’ve conducted successful test runs with the e-textbooks in pilot schools so now we want to give parents and students who are ready, the opportunity to access it. “E-textbooks are more advantageous than the hardcopy especially for students taking their PT3 and SPM exams. It’s easy for revision. “This is because students can still refer to the e-textbooks after they’ve moved up a form, whereas the hardcopy would have to be returned after a year,” she told a press conference at SK Taman Putra Perdana, Puchong, on Jan 2. On whether the e-textbooks were popular, she said the ministry would need time to compile the data as it needs feedback from the schools. 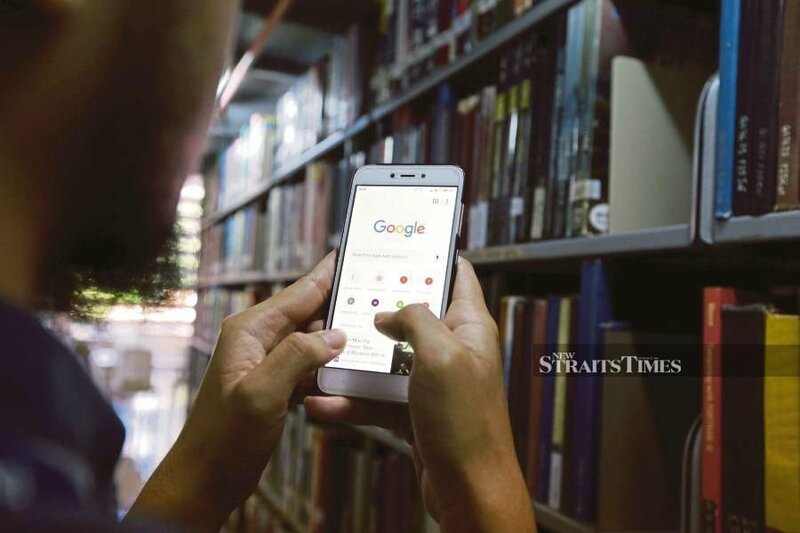 Lower secondary students must bring their own devices to access digital textbooks in schools as the ministry has no plans to supply devices for them to use digital textbooks. On Dec 7, Teo told Parlia-ment the government would introduce digital textbooks for those in Forms One to Three this year. The ministry plans to introduce interactive digital textbooks for those in Form Three in 2020. And in 2021, those in Forms One, Three and Four, would get interactive digital textbooks. In 2022, the digital interactive textbooks would be available for those in Forms One to Five. As of last month, the ministry has turned 495 printed textbooks into digital Portable Document Format (PDF) and have uploaded them in the 1BestariNet website for students and teachers. On a separate matter, Teo said the special committee tasked with studying the Unified Examination Certificate (UEC) recognition has yet to complete its report. THE incident at the Sri Maha Mariamman Temple last week shows how fragile the state of social stability in Malaysia is. And it highlighted in a stark way the power of social media, for better or worse. In other countries, social media has been associated with riots and violence. 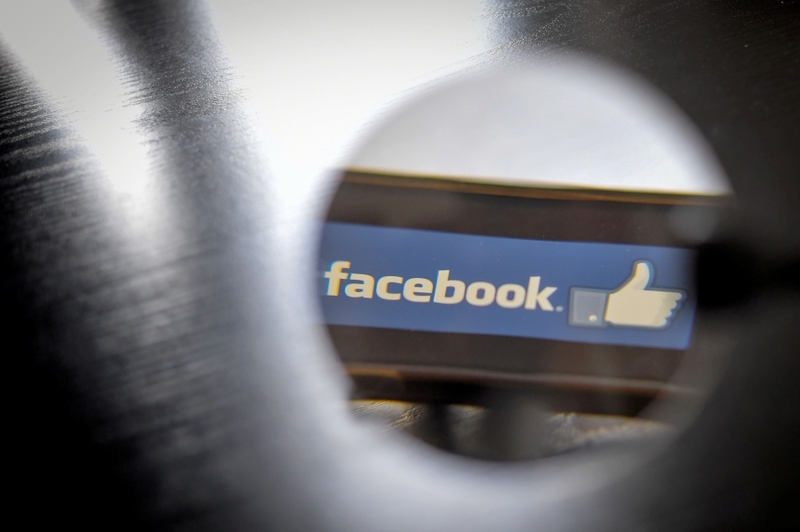 It played a big role in riots in the United Kingdom in 2011, prompting David Cameron to ask whether it would be right to ban people using Facebook, Twitter and Blackberry messenger “when we know they are plotting violence and disorder”. In India, mobs killed and attacked some people in May this year after social media messages warned that gangs were kidnapping children. Authorities later said there was no indication such gangs existed. Social media and the Internet are the more visible part of the larger digital society and economy, in which automation, robotics, big data and artificial intelligence are growing rapidly . On one hand, there are positive aspects, with advocates praising the Fourth Industrial Revolution for advances in economic productivity, communications, entertainment, healthcare, transport, personal convenience, and so on. On the other hand are warnings of ill effects on culture and children’s intelligence, of mass unemployment, widening inequalities, and social and political instability. The digital revolution is both Dr Jekyll and Mr Hyde. Most mainstream reports now give a good spin to the business “disruption” caused by the digital revolution. This is ironic, as disruption is a term normally used to describe a negative incident or development. Yet the “disruption” associated with digital-based firms is now being glamorised as something trendy, advanced, and successful. While the new services provide new sources of profit and bring conveniences to customers, they also have adverse effects including dislocating existing businesses and jobs. Prime Minister Tun Dr Mahathir Mohamad at the Apec summit gave local examples of the displacement of taxi drivers, hotels and retail shops by e-hailing taxi apps, home-­sharing platforms and online retailers. He warned of more upheavals ahead, such as automation causing an employment crisis. The prime minister said governments can respond to the age of disruptions in four ways. First, ensure technology is accessible and affordable to citizens, and does not widen inequality, and the key to that is education. Second, the losers (displaced businesses and workers) must be taken care of. Third is the need to build developing countries’ capacity to face disruption, through infrastructure and advanced technologies. Fourth, there must be international cooperation to manage technological disruptions. This includes the re-evaluation of trade globalisation and economic integration to adjust to technological disruption causing sweeping changes. Mutual agreement must be found to benefit national governments, not just multinational corporations and advanced economies. Dr Mahathir’s speech was perhaps the first time a leader from a developing country had conceptually laid out the need to consider the advantages and disadvantages of the digital age, and to take action in response. Taking off from there, we need to set up a national agenda aimed at deriving benefits while avoiding threats and minimising costs arising from the digital revolution. Developing countries like Malaysia should draw up a comprehensive plan to address the digital economy and society that takes advantage of benefits while avoiding or minimising the harm and costs. First are the social, cultural and ethical aspects. How to benefit from the easier access to information, while preventing people, especially children, from becoming “slaves” to the handphone? How to ensure that the quest for knowledge and wisdom is not being replaced by instant gratification generated by the Internet? Or to prevent direct human relations from being significantly re­­placed by our addiction and relation to the mobile phone? How can the Internet be used to get information quickly but not to spread false news or generate hatred and violence? Second is to ensure digitisation does not widen inequality, that the benefits are shared equitably and the interests of the “losers” are taken care of. Major concerns are the impact on existing businesses and workers. Some studies expect up to half the workforce may become obsolete. The advent of 3-D printing, which can significantly displace local companies and take the place of trade, should be looked at, as well as the impact of new technologies on agriculture, services and industry. Third is to establish a national policy on the digital economy that enables the country to best take advantage of the digital revolution. This plan should include building the digital infrastructure, devising data regulatory policies, regulating digital platforms, developing national marketing platforms, harnessing digital start-ups, developing digital competencies and introducing taxes on global firms. UNCTAD’s Trade and Develop­ment Report 2018 is a good reference for such a national policy. Fourth is to cooperate with other countries to set up global or regional governance frameworks that are mutually beneficial. For a start, developing countries should avoid clauses in trade agreements that prevent or restrict their ability to have a suitable national digital policy. Such clauses, such as the prohibition of data localisation and revelation of source codes, are proposed by developed countries mainly to benefit their big technology companies. Global cooperation is needed to provide affordable access to technology and tackle the adverse effects of disruption and the risk of dangerous technologies such as new weapons. Indeed, a new global agreement on the digital economy and society is needed. But that will take years to take shape, if at all. We should start with a national policy. Technology can be a monster like Hyde if the companies and scientists that create and operate it are given total freedom. But it can be a good friend like Jekyll if it is well regulated by carefully thought-out policy and plans. Policy is thus the key, so that humans decide how to use technology rather than allow unregulated technology to control our lives. THERE’S no specific reason why a person is cyberbullied. Even someone as intelligent and beautiful as the reigning Miss Universe Malaysia 2018 Jane Teoh was a target. Crowned early this year, the 20-year-old accounting and finance student from Penang beat 16 other hopefuls and was also named Miss Online Personality. Right after winning the beauty pageant, Jane became a victim of photomontages and viral memes. In one incident, her photo was placed in a collage next to an animal with a caption comparing the similarities and at the same time poking fun at her. “I became doubtful of myself when I saw the picture and read the comments. It made me feel that I am not good enough and that I have to be perfect as that’s what the public expect of me based on what they say online,” said Jane who will be representing the country at the 67th Miss Universe competition in Bangkok, Thailand next month. Cyberbullying is a form of bullying that happens online, which involves harming, harassing, threatening and humiliating a person usually through social networks, messaging apps, chat rooms as well as via e-mail and on websites. Common forms of cyberbullying that cause distress to the victims include spreading false rumours, posting humiliating photos or videos and stalking on social networks, and creating fake profiles and websites. Jane said the experience of being bullied online or offline may be different for everyone, but it could affect every part of a person’s life and it could happen to anyone. “In this day and age, we can’t deny the fact that social media is a big part of our lives. No matter what you look like on the outside, or even inside, anyone in the online sphere can be judged and victimised. “But the youth today are more vulnerable and they tend to care about what people have to say about them. This needs to stop,” said Jane who recently kicked off #DareToShout, an awareness campaign on cyberbullying. As a victim of cyberbullying, Jane understands how it feels like to read unpleasant comments on social media platforms. So it is important for her to reach out to the youth and help them to speak up about cyberbullying and, in time, overcome it. While many studies are conducted to understand and document the negative impact of cyberbullying on schoolchildren, relatively little attention has been paid to the same issue on young adults at tertiary institutions. Typically understood as a teen issue, cyberbullying has trickled its way into the lives of university students and adults. There is not much research on cyberbullying at higher education institutions to start with. One research published in 2017 to understand the prevalence of cyberbullying among tertiary students in the country found that most cyber victims experienced emotional changes and became overly sensitive to their surroundings. Out of 712 students who participated in the research conducted by academicians from Universiti Tun Hussein Onn Malaysia, 66 per cent reported that they have been cyberbullied. The findings also indicated that seeking assistance from friends and classmates is the most common coping strategy instead of asking help from the counselling centre at university. HELP University Centre for Psychological and Counselling Services lecturer Sarah Yung said while the negative impact of cyberbullying on youth at schools is well-documented, comparatively less is known about its effects on undergraduates. It may benignly be seen that undergraduates tolerate such actions within the context of a university culture. Cyberbully, she added, is of a strange trend originating from freedom of speech and speaking one’s mind that is emerging on the Internet and social media— the tool and space for people to express themselves. The anonymity in social networks makes it easier for people to share their opinions and, in some ways, reflect their thoughts. Bullies know they can hide behind the computer screen and email, and text and post messages that contain hurtful words that are rude and highly defamatory. “In the case of cyberbullying, there are no details that we can identify such as the face of a victim or the bully. There is an assumption that cyberbully victims in general are helpless, have low self-esteem and lack confidence. But students who excel academically can be victims of bullies. These are students who are active at universities and communicate well with the staff, faculty and friends. Cyberbullies can cause mental and physical impact such as depression, anxiety, stress, sleeplessness, weight loss and even suicidal thoughts. For university students, being on the receiving end of cyberbullying can affect their personal lives, grades and relationships inside and outside the university, including avoidance of certain individuals and places where the cyberbully frequents. Sarah, who is also a registered counsellor, said most youngsters care about how others perceive them, usually believing what people say about them while trying hard to please people to accept them for who they are. “We cannot escape the strange climate on the Internet that gives a sense of control over how one wants to be pictured by others on the web. Very often, Sarah added, victims do not feel the connection with those around them. They go online hoping that netizens will give them the attention. “Some young people, who are suffering from stress and a low support system, turn to people online for support. More students today are struggling with anxiety, depression and suicidal thoughts. “It is a very pressing concern that they are struggling to find meaning in what they do and who they are. At 21, which is the age that one is legally an adult, they think others expect that they should have figured out their life. “Some 20-year-olds cannot find the meaning of life and do not know how to even describe the missing pieces they feel in their lives. This results in some feeling less about themselves, so they struggle with their selfworth, feel anxious and depressed leading to suicidal thoughts. “It is easier to choose not to communicate with anybody nowadays. Just take out my phone, put on my earphones and everyone will leave me alone,” Sarah said. A lack of physical connection may be one of the reasons why the younger generation born in this digital age feels lost in this world. Communicating with different age groups creates different connections and develops points of view for the young people. However, Sarah believes regenerating the sense of connection with people around them, especially with different age groups, is important. “You see your peers as equals. Peer discussions on certain topics may lead you nowhere. “Having an older figure who can connect to you and be a mentor can generate ties that you may not get from your peers. “Youths need mentors and we see this especially at universities when lecturers reach out and connect with students. Lecturers become an important bridge for students to cross over to the next level. Compile the evidence that you can garner which can include text messages, emails, screenshots, instant message conversations and IP addresses according to dates and times. Share it with someone you trust who can help you find the courage to make it stop. Block bullies immediately even when they create new accounts. Control who can see what you write and post, as many social media accounts allow you to go private. Ignore bullies as retaliating opens up more problems. A technology-free start for children? IT is amazing to watch my granddaughter use the iPad. She swipes her finger across the screen, chooses her favourite programmes and even skips advertisements. Tiara Azalea is two years and four months. She can hardly speak or manage her own hygiene. And yet, give her a gadget and she is already like a pro. When she gets bored in the car, she will spend time watching her favourite movies, Moana or Frozen. When she gets grumpy, give her video character Blippi. To get her to eat, show her The Wheels on the Bus series or Diddi. Parenting made simple? Or a phenomenon modern parents have to live with? She is not alone. In the world we live in, technology is everywhere. Children at a very young age are exposed to screens. Toddlers are bombarded with millions of images every day. Not surprisingly, they are addicted to the screen even before they can play. Or worse, before they learn to socialise. The screen is changing the way they understand the world. Some argue that screen addiction among young kids is real. We are not sure how it will impact upon our children. The Internet is still a work in progress, perhaps in its infancy even. We are not sure how humans will learn, work and socialise in the near future. While it can sound exciting, it can also be scary. A study published recently in the United States found that children aged 8 to 18 are spending an average of 44.5 hours per week in front of screens. That is worrying. There is yet a comprehensive study on how children below four are spending time on the Internet and what effect it has on them. In advertising lingo, they are not even qualified yet to be “respondents”, but they are as much exposed to screen images on TV or the Internet. Parents have every reason to be concerned. So too educationists, child psychologists and behaviourists. We should be worried about whether early exposure to Internet devices will rob them of a natural childhood. We all acknowledge the fact that screen addiction relates to time spent on these gadgets, however educational it may be. We can see how they lose their sense of time when they are “at it”. They get grumpy when they are interrupted or irritated when deprived. Parenting in the 21st century isn’t easy. It is amazing how children today are brought up in a digital environment. It is a question of how young to start them on the Internet, some would argue. The Internet will differentiate the know-a-lot from the know-less. Digital technology is the biggest disruptor in the history of mankind – for better or worse. We can predict that tomorrow’s education will be based on tablets. Books will be the thing of the past. But how much is much? How do we really prepare the young to have a childhood that we desire for them? We want them to be prepared for the future but at the same time, we must develop the necessary tools and ecosystem to ensure that they are social beings, first and last. We have seen too many stories about adolescents immersing themselves in the world of video games, becoming reclusive at best or societal pests at worse. I read in The Sunday Times Magazine two weeks ago about how Silicon Valley titans, the ones who got our kids addicted to screens, are sending their own children to elite, tech-free schools. The piece by Danny Fortson is an eye-opener indeed. As Apple celebrates the 11th birthday of iPhone, it is important to reflect how its creation has become a pivotal moment for mankind. Today, three billion humans are on IPhones.Many of them, according to one observer, have turned into “dopamine-frazzled zombies”. One school in San Francisco, where the Silicon Valley lies, is about going back to basics. It has a strict “no-screens policy”. As nicely put by Fortson, “in the crucible of the global technology industry, the same executives who have flooded the world with smartphones and addictive social media apps happily pay up to US$40,000 (RM167,900) a year to wall off their kids from their creations”. What an irony. And even more ironic, the creator of iPhone, the late Steve Jobs, sent his daughter to the school back in 1984! What about our kids? Should we seriously think of a “technology-free” start for them? We all agree on one thing, that modern technology is addictive by design. Questions must be asked. When is the right time for young kids to be exposed to technology, for it is unavoidable in today’s world? We can’t expect kids today to go back to the world that my generation once lived in – running around and getting dirty on the open fields and only hearing the dial tones when we started working. We cannot turn back the tide of time. You are currently browsing the archives for the Educational Technologies category.